Sarkar, S., Kanungo, D.P., Chauhan, P.K.S., 2010. Varunavat Landslide in Uttarkashi: Triggering, Risk Assessment and Damage.Quaterly Jour. Engineering Geology and Hydrogeology (In Press). Y. Pandey and P.K.S. Chauhan., (2009). “Microtremor Studies of Heritage Buildings” In the “Second Indian Disaster Management Congress” held at New Delhi during 4 – 6 November 2009. Verma, R.K., Roonwal, G.S., Kamble, V.P., Mohanty, W.K., Dutta, U., Gupta, Y., Chatterjee, D., Kumar, N. and Chauhan, P.K.S.,(1995). “Seismicity of Delhi and its Surrounding Region” Jour. Of Him. Geol., vol 6(1), 00. 75-82. Gupta, Y., Mohanty, W.K., Chauhan P.K.S., Verma, R.K. and Roonwal, G.S. (1996). “Pg and Sg Wave Velocities in Delhi and the Surrounding Region from Microseismicity Data” Bull. Ind. Soc. Earth. Tech.vol. 33, No. 3, pp 229-239. Srivastava, J.P., Pattanayak, S.K., Giridhar, M., Chauhan P.K.S. and Mohanty, W.K.(1999). “Petrochemical studies on the epicentral region of the recent Jabalpur Earthquake“. Curr. Sci. vol. 77, No. 8, 25th Oct. 1999, pp 1100-1104. Verma, R.K., Chauhan, P.K.S., Mohanty, W.K. and Purkayastha, S.(1999). “An Analysis of seismicity, maximum magnitude and acceleration for Kashmir, Punjab, Kumaun and Garhwal Himalaya Region.” Jour. Him. Geol. Vol. 20(1) pp 123-129. Pandey Y. Dharmaraju R. & Chauhan P.K.S. “Estimation of Source Parameters of Chamoli Earthquake, India”, Earth & Planetary Science, Indian Academy of Scienes, Vol. 110, No. 2, June 2001, pp. 171 – 177. Mukhopadhyay S., Pandey Y., Dharmaraju R., Chauhan P.K.S., Singh P. & Dev A. “Seismic Microzonation of Delhi for ground – shaking site effects” Current Science. Vol. 82 no.7 10th April 2002 pp 877-881. Sarkar S., Kanungo, D.P. and Chauhan, P.K.S. (2004). “Landslide Disaster of 24th September 2003 in Uttarkashi”. Current Science, Vol. 87, No.2, pp. 134 – 137. Chauhan P.K.S. and Chander R., (1989)”Microerathquake studies around Ukhimath, Garhwal Himalaya” Proc. Of Seminar on ‘Earhtquake Processes and their Consequences, Seismological Investigations’ at Kurukshetra University, Kurukshetra. Chauhan P.K.S. and Singh, V.N.,(1996). “Shear Wave Velocity Structure of China Region from Rayleigh Wave Dispersion” Proc. Int. Seminar ‘GEOPHYSICS BEYOND 2000’ at Hyderabad, Nov., 1996. Chauhan P.K.S., Mohanty, W.K., Verma, R.K. and Roonwal, G.S. (1996). “Study of Ground Displacement, Velocity and Acceleration in Delhi and Surrounding region using Microearthquake Data” Proc. Of Sym. On ‘Earthquake Effects on Structures, Plant & Machinery’ Nov. 13-15, New Delhi, pp. IX3.1-IX3.8. Mohanty, W.K., Chauhan P.K.S., Verma, R.K. and Roonwal, G.S. (1996). “Source Parameters, Acceleration, Velocity and Displacement studies for Microearthquakes from Delhi and the Surrounding Regions” Proc. Int. Seminar ‘GEOPHYSICS BEYOND 2000’ at Hyderabad, Nov., 1996. Verma, R.K., Mohanty, W.K. and Chauhan, P.K.S. (1997). “A study of source parameters for some major earthquakes along Indian plate boundary using aftershock data” Presented at 29th General Assembly of the IASPEI, August 18-28, 1997. Thessaloniki, Greece. Mohanty, W.K., Chauhan, P.K.S., Mukherjee, S. and Srivastava, H.N., (1997). “Microtremor Spectra in selected areas of Delhi“. Presented at 29th General Assembly of the IASPEI, August 18-28, 1997. Thessaloniki, Greece. Verma, R.K., Chauhan, P.K.S., and Mohanty, W.K.(1998). “Seismic Hazard assesment in NW Himalaya and Kumaon-Garhwal Himalaya region“. Proc. Int. Conf. on Hydro Power Development in Himalaya, Shimla, India pp. 248-259. Pandey Y., Dharmaraju R. & Chauhan P.K.S., “Source parameters and response spectra of Chamoli earthquake, India”, Proc. of Symp. on Seismology, Earthquake hazard Assessment and Earth’s interior related topics, Tehran, Oct. 10-12, 2000. Pandey Y. Dharmaraju R. & Chauhan P.K.S. “Source Parameters of Chamoli Earthquake, Using Strong Motion Records”, Proc. of National Seminar on Geodynamics and Environmental Management of Himalaya, Dec.4-6, 2000. Pandey Y., Chauhan P.K.S., Dharmaraju R. & Srivastava S.K., “Attenuation Curve for Chamoli Earthquake and its Comparison with Uttarkashi Earthquake”, In Proc. of Workshop on Recent Earthquakes of Chamoli and Bhuj May 24-26, 2001,UOR, Roorkee. Pandey Y., Chauhan P.K.S., Dharmaraju R. & Srivastava S.K., “Attenuation Relationship for 29th March 1999 Chamoli Earthquake, India”, ICCE-2001 July 23-25, 2001,IISC, Bangalore. Pandey Y., Gupta S.C., Dharamaraju R., and Chauhan P.K.S., “Attenuation study of Delhi using Strong Motion Data”, In Proc. of International Conference on Seismic Hazard with particular reference to Bhuj earthquake of January 26th , 2001. 3 – 5 October, 2001, New Delhi. Pandey Y., Dharmaraju R., Chauhan P.K.S., Srivastava S.K. and Pradeep Kumar “Delhi Strong Motion Accelerograph (DSMA) Network: A National Facility”, In Proc. of National Symposium on Role of Earth Sciences in integrated Development & related societal issues, November 1-3, 2001, GSI, Lucknow. Pandey Y., Dharmaraju R., Chauhan P.K.S. and Srivastava S.K., “Natural Ground Frequency Map of Delhi”. In the proceedings of IGC – 2003 on Geotechnical Engineering for Infrastructural Development pp 299-302. held at Roorkee during 18 – 220 December 2003. Pandey Y., and Chauhan P.K.S., “Feasibility of One Minute Seismic Alert System for Delhi”. In the proceedings of 2nd Indo – German Workshop on Seismic Safety of Structures, Risk Assessment and Disaster Mitigation, held at IIT Chennai during 15 – 16 February 2004. Pandey Y., Dharmaraju R., Chauhan P.K.S. and Chakraborty S., (2004). “Real Site Response in Delhi Caused by Hindukush Earthquakes”. In proc. of NSAGE – 2004 held at IISC Banglore, July 2004. Dharmaraju R., Pandey Y., Chauhan P.K.S. 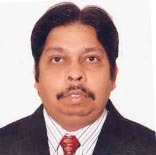 and Srivastava S. K., (2004). “Site Response Analysis based on Microtremor data for Seismic Microzonation of Jabalpur City”. In proc. of Symposium on Seismic Hazard Analysis & Microzonation, Roorkee, September 2005. Pandey Y., Dharmaraju R., Chauhan P.K.S., Srivastava S.K. and Chidanand, B. (2004). “Study and Analysis of 18th March 2004 Delhi Earthquake” In proc. of HAZARDS 2004, NGRI Hyderabad, December 2004. Pandey Y., and Chauhan P.K.S., (2005). “Attenuation relation for Delhi Region” Accepted in First International Conference on Urban Disaster Reduction, Kobe, Japan, January 2005. Pandey Y., and Chauhan P.K.S., (2005). “Dominant Vertical PGA for Local Earthquakes in Delhi” In Second International Conference on Urban Earthquake Engineering, Tokyo, Japan, March 7 – 8, 2005. Pandey Y., and Chauhan P.K.S., (2005). “Lessons Learnt from Recent Microearthquakes in Delhi” In Proc. of Symposium on Seismic Hazard Analysis and Microzonation held at IIT Roorkee during 23 – 24 September 2005. Pandey Y., and Chauhan P.K.S., (2005). “Expanding Delhi: Seismic Hazard Concerns” In 10th International Congress of the IAEG 2006 held in Nottingham, United Kingdom during 6 – 10 September 2006. Pandey Y., and Chauhan P.K.S., (2006). “Lessons Learnt From 1720 Delhi Earthquake” In 4th International Conference on Earthquake Engineering ICEE 2006 held in Taipai, Taiwan during October 2006. Pandey Y., and Chauhan P.K.S., (2006). “Site Response Studies of Delhi” In Proc. Of Workshop on ‘Seismic Hazard and Risk Assessment’ under Indo Norwegian Programme of Institutional Co-operation. March 18-19, 2006, New Delhi. Pandey Y., and Chauhan P.K.S., (2006). “Role of Site Conditions on Built – Environment of Delhi” In the “First Indian Disaster Management Congress” held at New Delhi during 28 – 30 November 2006. Chauhan P.K.S., and Pandey Y., (2006). “Feasibility of Seismic Alert Systems in India” In the “First Indian Disaster Management Congress” held at New Delhi during 28 – 30 November 2006. Pandey Y., and Chauhan P.K.S., (2006). “Seismic Concerns About Expanding Delhi” In the Proc. Of ‘13th Symposium on Earthquake Engineering’ held at Roorkee during 18 – 20 December 2006. J.N. Vaish, P.K.S. Chauhan and Ajay Dwivedi (2008), “Delineation of Distress area in Mosque using GPR” in proceeding of Conference on “Challenges and Applications of Mathematical Modelling Techniques in Building Science and Technology (CAM2TBST)” from 7th – 8th Feb, ’08 at CBRI Roorkee. P.K.S. Chauhan, Jameer Ahmad and Ajay Dwivedi (2008), “Application of Geophysical methods in Landslide Studies” in proceedings of Diamond Jubilee Conference on “Landslide Management – Present Scenario & Future Directions“ from 10th – 12thFeb.’08 at CBRI, Roorkee. “Seismic Microzonation of Delhi” Submitted to CBRI, PME Division, Roorkee. “Seismotectonic Study of Doon Valley”. Submitted to CBRI, PME Division, Roorkee. “Site Response Study of Dehradun City using Microtremor Data”. Submitted to CBRI, PME Division, Roorkee. “Geotechnical Investigations, Instrumentation & Monitoring of 9Th Mile and B2 Landslide and hydrological study of Lanta Khola landslide in Sikkim” report submitted to Defence Terrain Research Laboratory (DTRL) Delhi. “Augmented Delhi Strong Motion Accelerographs (ADSMA) Network”. Submitted to DST, New Delhi. “Comprehensive Geotechnical and Structural Investigations of Taj Mahal: submitted to ASI, New Delhi. Chauhan P.K.S., Mohanty, W.K. and Roonwal, G.S. (1998). “Earthquake hazards in area of low seismicity: An example from NE Aravallis in Delhi Region“. In : The Indian Precambrian, B.S. Paliwal(Ed.) Scientific Publishers, pp 523-530. Chauhan P.K.S., Mohanty W.K., Roonwal G.S. & Gupta S. “Significance of Seismological Investigation in Delhi and Surrounding Region”, Research Highlights in Earth System Science, DST’s Spl. Vol.2 on “Seismicity” (Ed. O.P. Varma), Published by Ind. Geol. Cong., 2001, pp. 55-64. Chauhan Pradeep and Gupta Sandeep (1999). ” Bahudhatwik Pindikaon ke Liye Samudra Manthan Ki Aawashyakta”. In Book ‘SAGAR NIDHI’ Published by Deptt. of Ocean Development, Govt. of India. Pandey Y., and Chauhan P.K.S., (2005). “Seismic Vulnerability of Delhi” in Book by R.B. Singh.